Gelateria Naia: Support us with edible credits. 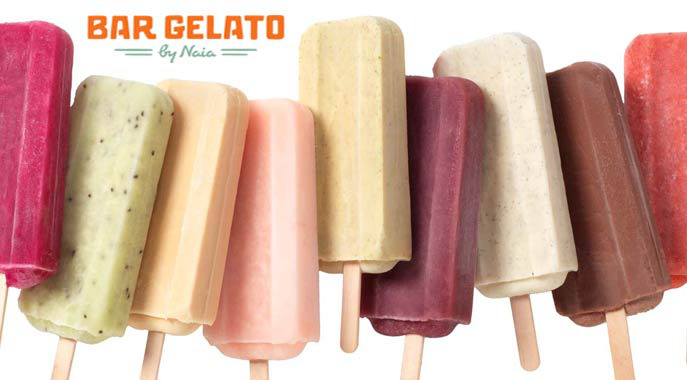 In 2002 Gelateria Naia was the first to craft artisanal gelato in the Bay Area. Naia's passion is genuine local flavor - Naia partners directly with local farmers like ALBA Organics [Salinas], Lindcove Ranch [Exeter], Fiddyment Farms [Lincoln], and local artisans like Blue Bottle Coffee and Numi Tea [Oakland] and TCHO Chocolate [San Francisco]. In 2011 Naia launched Bar Gelato, another first: gelato in ice pop form. Bar Gelato is a new way to enjoy Naia's hand-crafted, artisanal gelato. Made from locally-sourced ingredients, our Bar Gelato is crafted in small batches in the traditional Italian manner, then frozen into a bar form that's easy and convenient to take with you, wherever you are going. Your pre-purchase of our gelato treats through Credibles will fund a much needed new distribution freezer. This new freezer will allow us to keep up with growing demand and to support fellow artisan ice cream makers with their distribution! Trying out Bar Gelato for the first time? Here's a low entry level for you to get started. At the register, use the Credibles app on your smartphone to redeem your credits for Naia.